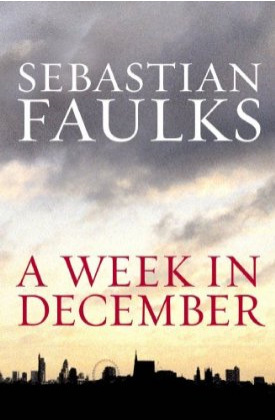 “A Week in December” is Sebastian Faulks’ first wholly contemporary novel. Set in London, it’s a brilliant social satire, structured like a thriller, that takes place over the course of a single week at the end of 2007. It brings together an intriguing cast of characters, each apparently in his or her own world but – as gradually becomes clear – ultimately intricately related. The anti-hero, John Veals, is a shadily successful and boundlessly ambitious Dickensian figure who is trading billions and other characters include a teenage Muslim fanatic, a Polish footballer, a female tube driver, a literary critic, a care worker and a chutney tycoon. 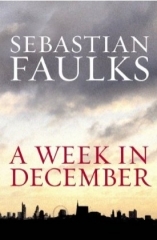 As the story builds to its climax, Faulks pulls together powerful ideas about family, money, religion, and the way we live now. The title is actually quite close to the rejected Young Bond title “Six Days in December”. Instead we got the fan selected title Double or Die.